We, mummy often get jigsaw puzzles for our kids at the shopping centre and will purchase one after another after the kids being able to fix all that they had. 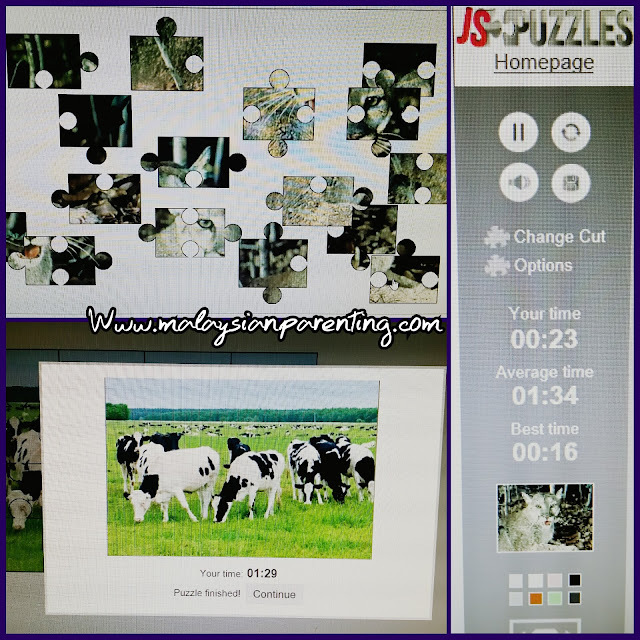 I come across this jigsaw puzzle website which is easy to use. 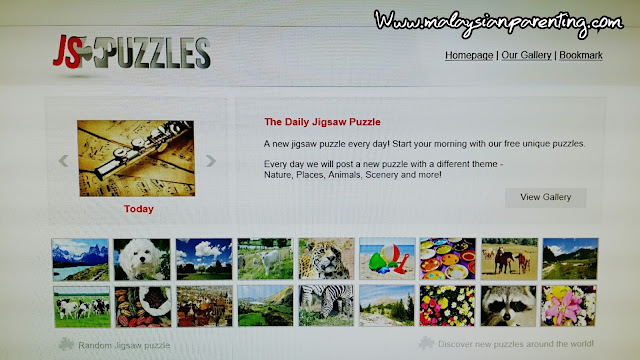 You wont be running out of idea which puzzle to be solved as they will have about 100-150 new puzzles daily downloaded from users for you to choose from. Jspuzzle will be reviewing each picture uploaded so that it matches with the category and suitable for all ages. Nature, Places, Animals, Scenery and more! You may solve the puzzle over and over again as it has a timer which records your speed. This would be a great family bonding if you wish to do something online together.